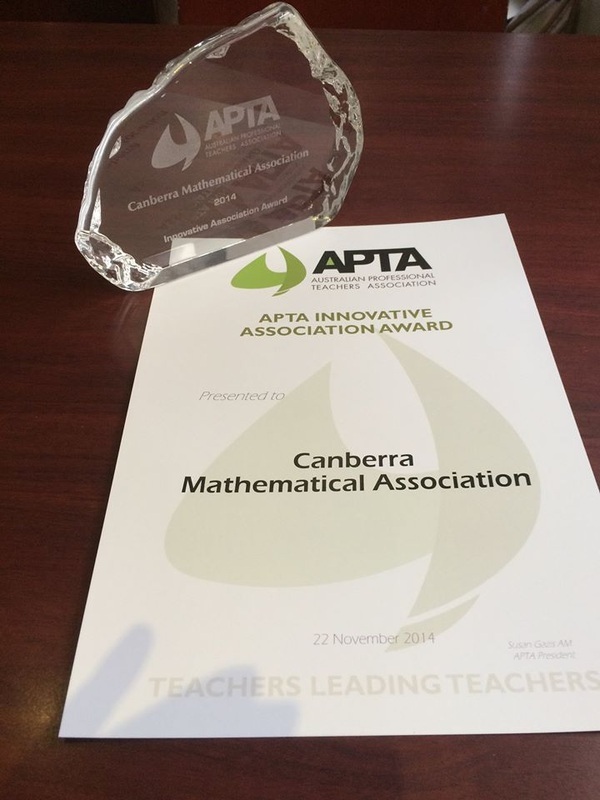 The Canberra Mathematical Association (CMA) represents educators of mathematics in the ACT. It was established in 1963, and in 2013 was awarded the ACT Government Gold Award for 50 years' contribution to mathematics education. As a growing and dedicated professional association, the CMA aims to support professional learning and facilitate effective cooperation and collaboration between mathematics teachers and their colleagues in the surrounding community, including regional areas. The major focus of the CMA is on supporting a strong professional identity through the conference, professional learning workshops, and frequent communication via the interactive website, electronic newsletter and social media presence. The flagship of the CMA, the Annual Conference, promotes and showcases current best research-based practice across a wide range of content and pedagogy. The sustained growth in attendance attests to the relevance and appropriateness of the conference, workshops and resources for CMA members.